We tried to log on as a different user and it worked under a different user account.  We thought it’s a problem with the user’s license, so we contacted Adobe for resolution. 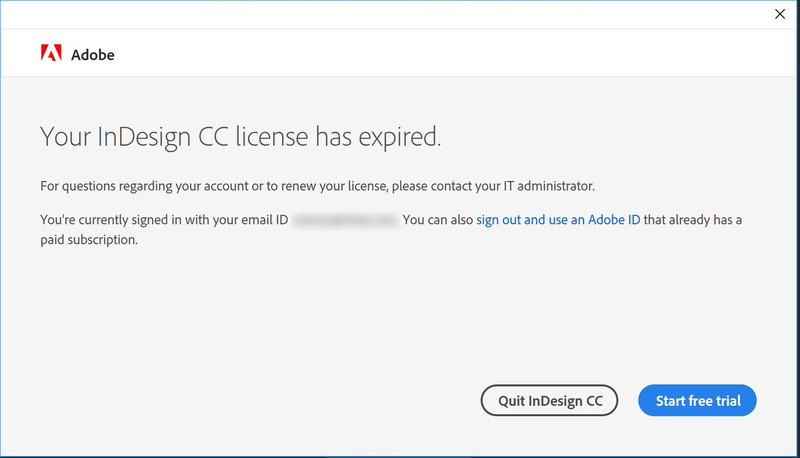 After several calls, we finally learned that it’s a bug in the Adobe CC suite. Any latest version can have this problem. So the fix is to install an earlier version of the app. 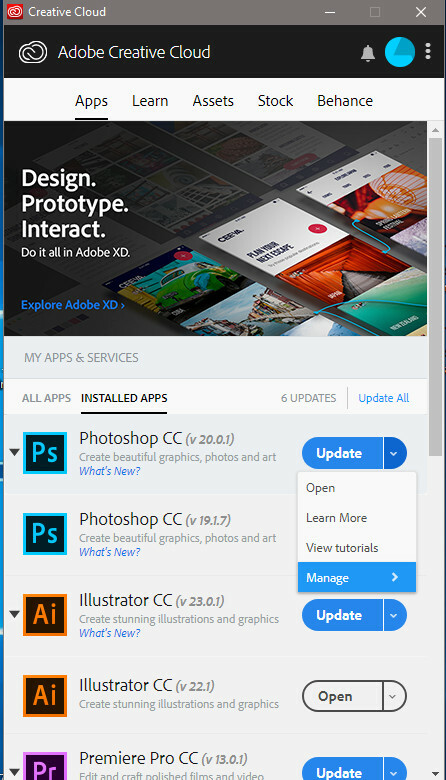 You can do this by clicking on the down arrow of the app in Adobe CC desktop client and select Manage and then Other Versions. Pick an earlier version and it would work again.